This is a 1961 very fine solid 18k. rose gold cocktail watch measuring 17x24mm. The lugs are quite interesting; as they flex back and forth! 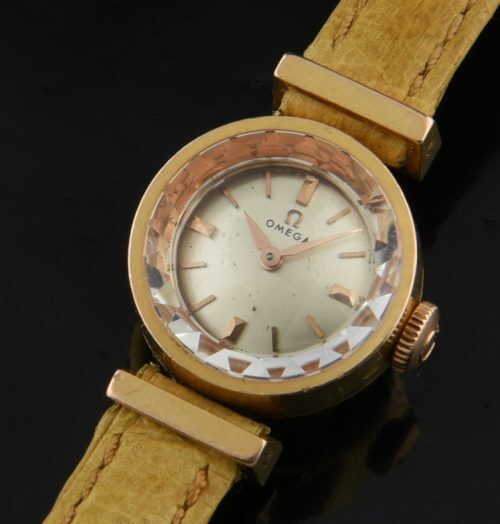 The fine OMEGA manual winding movement was just cleaned and is accurate. The dial is original. Notice the rose gold markers and hands. The faceted glass crystal which catches the light and reflections is also original. 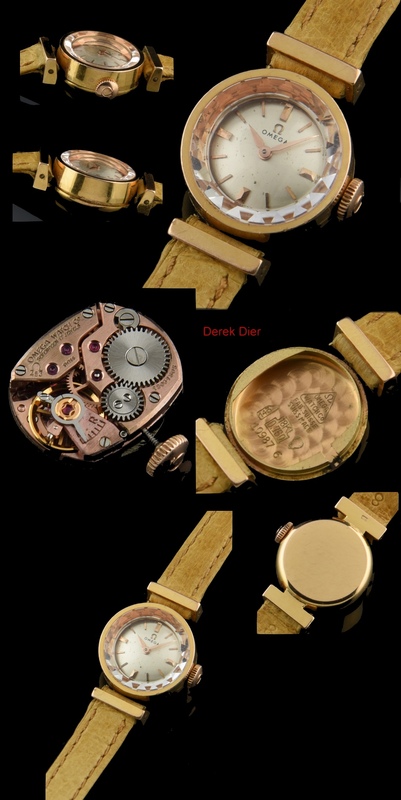 The entire watch displays very good original condition.